So long as your store still falls within the individual parameters of each plan, customers have the freedom to upgrade and downgrade to a different Rewind plan, if necessary. 1. From your Rewind Home Page, in the upper right-hand corner, select "Settings". 2. In the 'Subscription' section, to the right-hand side of your Current Plan, select "Change Plan". 3. You will be redirected to our Subscriptions page. 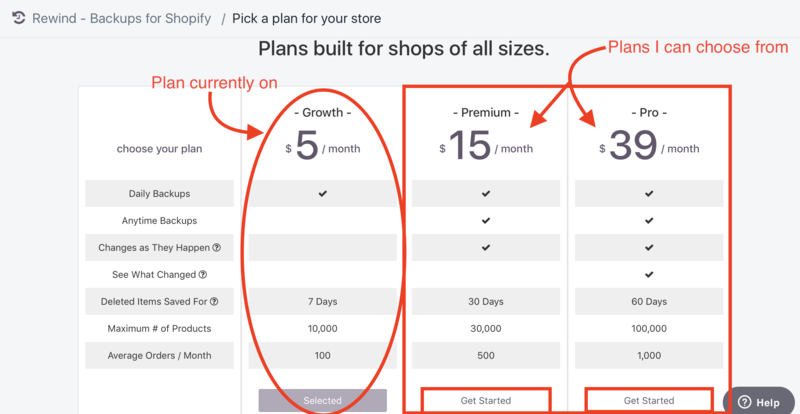 The plan you are currently subscribed to will say 'Selected' at the bottom; the other plans shown are the plans available to you to upgrade/downgrade to, based on the side of your store. Choose the plan you wish to switch to, and then click "Get started" at the bottom of that subscription. 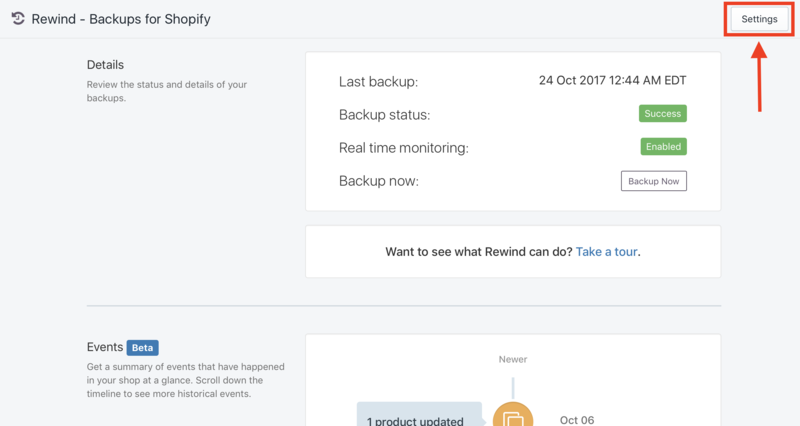 You will be redirected back to your Rewind Home Page, and a pop-up confirmation will appear, stating that your plan has been updated. To review this change, follow Step #1 to view your current plan.